marital bless: Get it, girl. - Finalize the packaging components of my mini-rebrand. - Put together a family outfit for some updated family pictures before we leave for our weekend away. - Decide on some new floors and backdrops for the studio. - Prep for my first senior session tomorrow evening. - Try to act like a grown up over middle school stuff. - Carve out time for Tony to work on Isaac's swing set. 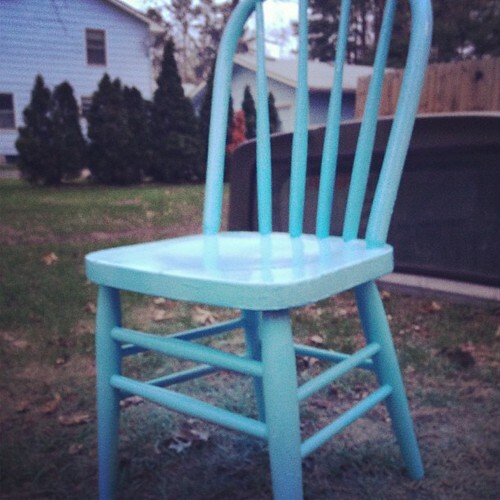 I love your newly painted chair! Most of your to-do's actually sound fun! Or, at least fun in comparison to my to-do list today, which includes grocery shopping, budget updating, and cleaning, LOL! Just so you know, if I lived near you I would totally book a session. :) Have a great weekend! The senior session is going to rock your world.